(March 22, 2010) – Kevin Burkhalter of Johnson Capital’s Los Angeles office has arranged $9,400,000 in permanent financing for a privately held entity that owns a 284,580 s.f. 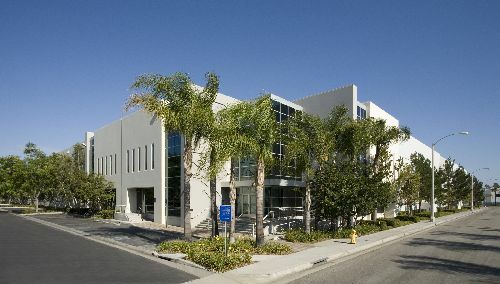 industrial building in Santa Fe Springs, California. The terms of the deal consisted of a fixed rate of 6.30% for the 15-year loan term with interest only payments for the first 5 years and a 30-year amortization for the remaining 10 years. Completed 1999, the property consists of a concrete tilt-up industrial warehouse and distribution building 100% leased and occupied. Financing was arranged through a major insurance company who rate-locked 105 days prior to closing so the Borrower would not have a prepayment penalty on the existing loan. Johnson Capital is one of the largest and most prominent real estate investment banking and commercial mortgage brokerage firms in the nation. Since its inception in 1987, aggregate transaction volume has grown to over $29 billion. The firm has 18 offices nationwide, including: Irvine (corporate headquarters), Los Angeles, Encino, San Diego, San Francisco, San Jose, Napa, Phoenix, Denver, Salt Lake City, Dallas, Chicago, Little Rock, Kansas City, New York City, Washington, D.C., Norwalk and Boca Raton. "Celebrated my 20th Year in 2009 with Johnson Capital et al"